How you plan and set up your workout area will play a big part in achieving your results. Here are some tips for creating a functional, motivating space in your home. Whether you plan to use an area in a spare room, or your garage, before you make any other decisions—think ahead. When you are visualizing where you’ll put a new exercise bike, treadmill or home gym, put yourself in the picture as well. What can you do to make your space an inviting, practical and fitness-friendly place—a place you’ll want to be? Garages with no heating or ventilation can cause condensation to form on your new machines which will invalidate the manufacturer’s warranty. Guessing your available space is not a good idea. Each piece of exercise equipment has a different footprint. 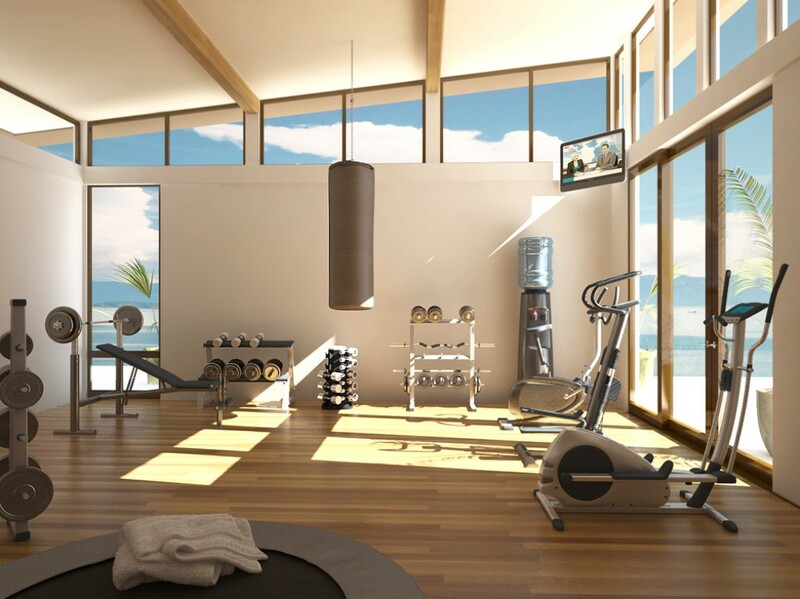 If you’re considering a home multi-gym, check the available ceiling height as some models are 7 feet tall. You need to know the dimensions of the space you have available. Any of our sales team can provide you with dimensions for our equipment. A simple sketch with basic measurements (taken with a tape measure) is fine. If using heavier weights and dumbbells it is important to use interlocking rubber tiles which will protect your floor and can be easily fitted to suit your area. Using carpet tiles can provide some sound insulation and are easy to clean or remove if stained. They are also cheap. Laminate wooden flooring looks nice but think about the acoustics and cost. Natural light and ventilation is essential for a comfortable and inviting area. A nice view over your garden can also add to the enjoyment of your workout. Air cooling or an electric fan can help keep you cool. A TV is nice to help take your mind off exercising and can enhance your workout experience whilst burning the calories. Many cardio machines now also have the capability to link with TV, ipad or iphone and have interactive screens showing your workout details. Tape down any loose electrical leads. Use a 4-gang socket extension if you’ll be plugging in several items. If you have young children, make sure you have a place to store dumbbells, medicine balls, and anything that may cause a trip/fall.